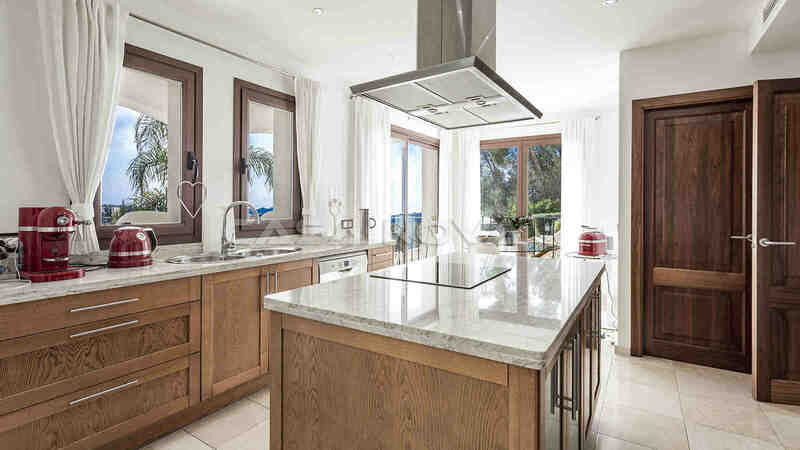 Luxury Real Estate Mallorca: This exclusive and modernized villa with sea views is located in the very popular Portals Nous region in the southwest of Mallorca. 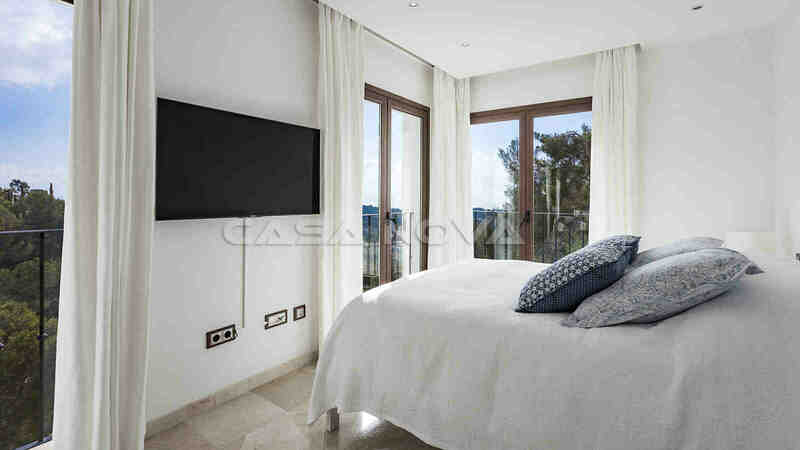 This Mallorca Residence was built in 2010 on an approx. 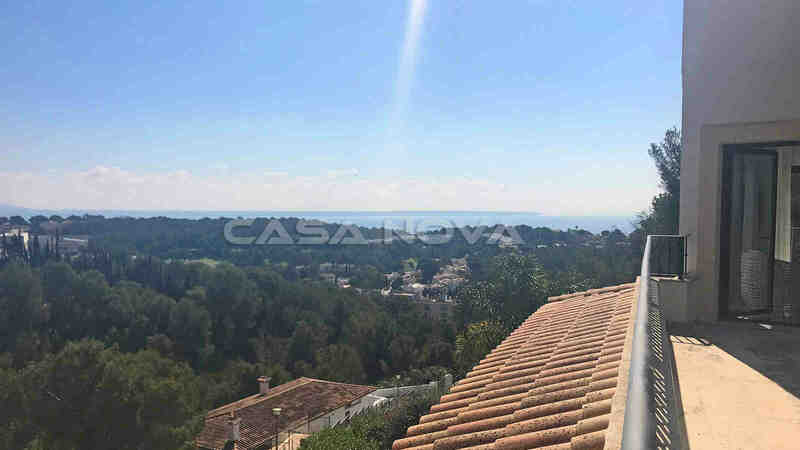 1140 m2 large plot. The luxury property with approx. 320 m2 of living space offers access from 2 levels of 2 different streets. 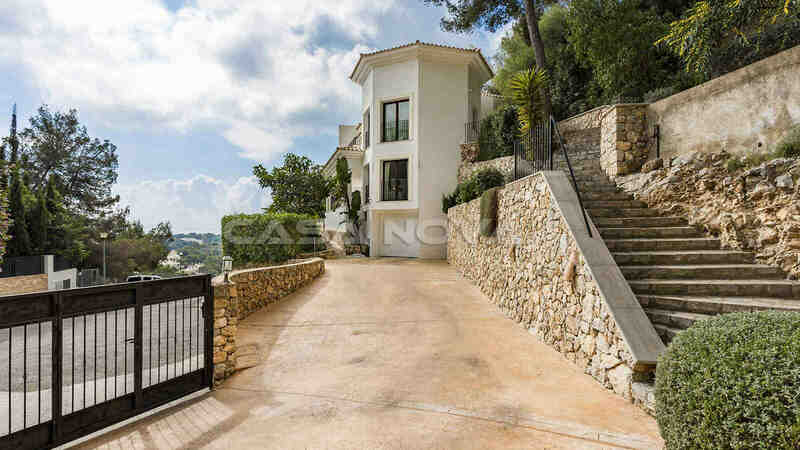 Both access roads are dead ends and give the villa absolute privacy and tranquillity. In the lower living area there are 1 bedroom, 1 bathroom, 2 storage rooms, as well as a large fully equipped open fitted kitchen and dining and living area. 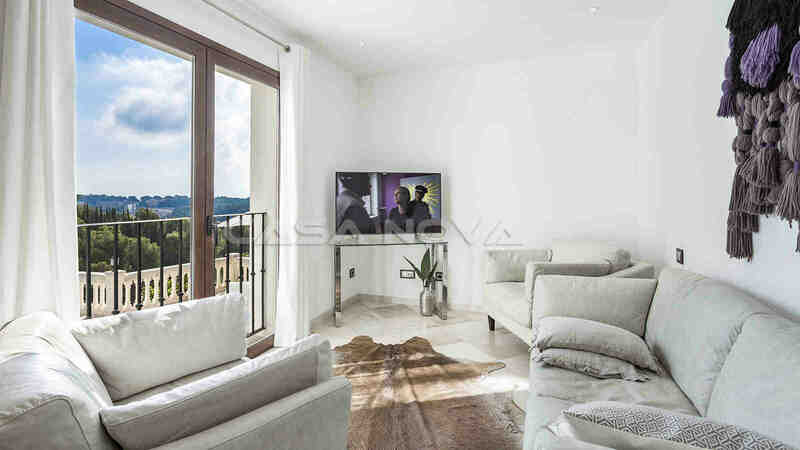 The spacious light-flooded living room offers access to one of the 3 sea view terraces. 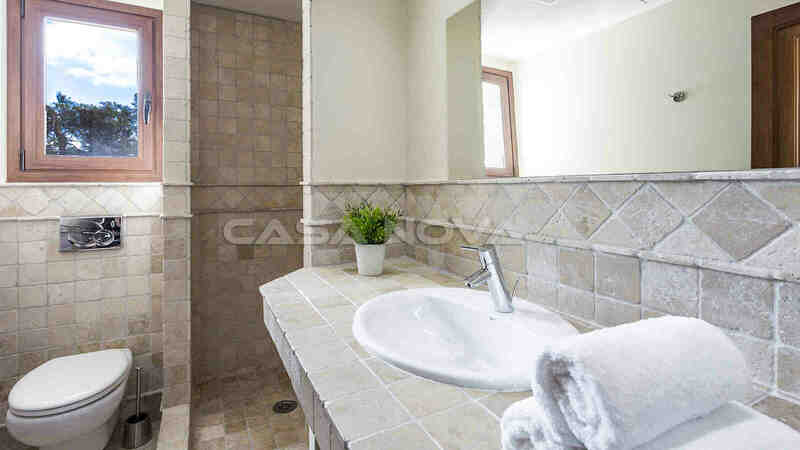 The 1st floor has 3 bedrooms with sea view, 3 bathrooms, 2 of them en suite. 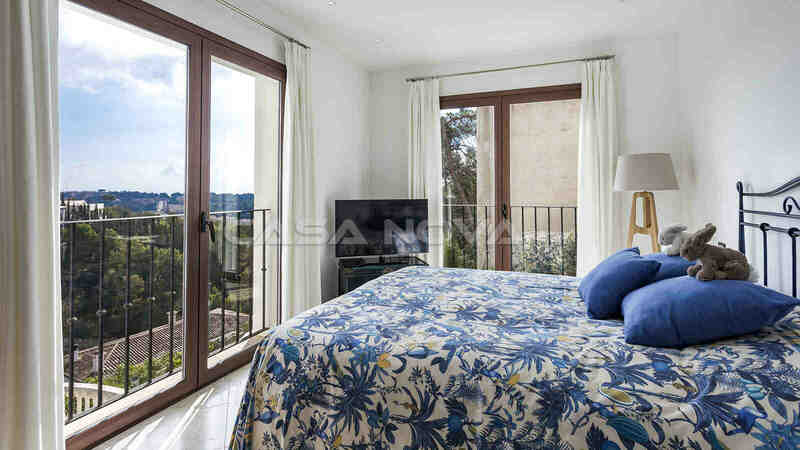 Two of the bedrooms offer a dressing room and have access to a terrace with panoramic sea views. Further features are: Air conditioning h/c, double glazed aluminium safety glass windows, alarm system, built-in wardrobes, marble floors. 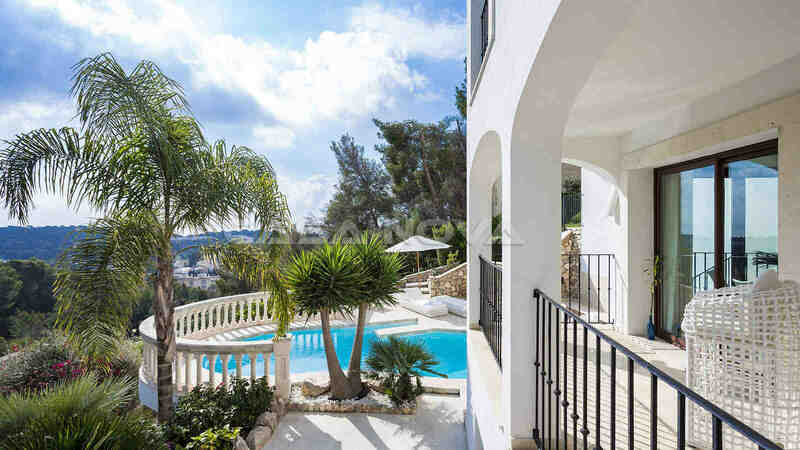 The Mallorca Villa has enough free space for the construction of a lift. The outdoor area with the Mediterranean garden and automatic irrigation system offers a large sun terrace and an approx. 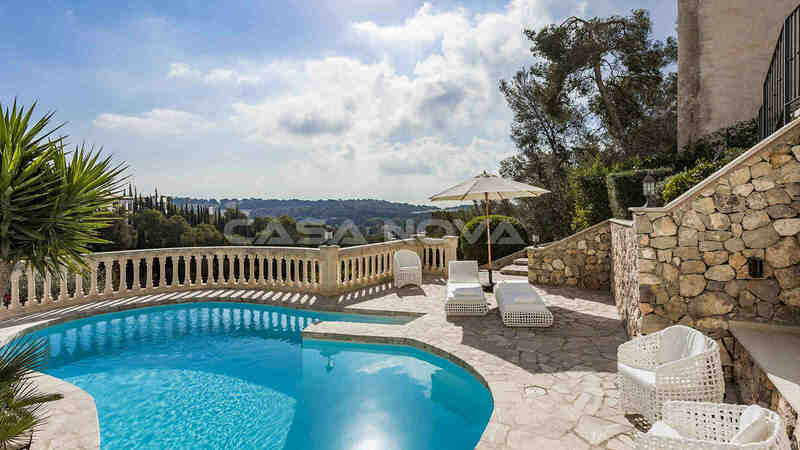 36 m2 large pool. There is also 1 garage of about 150 m2 with space for up to 5 vehicles. It is possible to convert the garage into a guest apartment or fitness area. 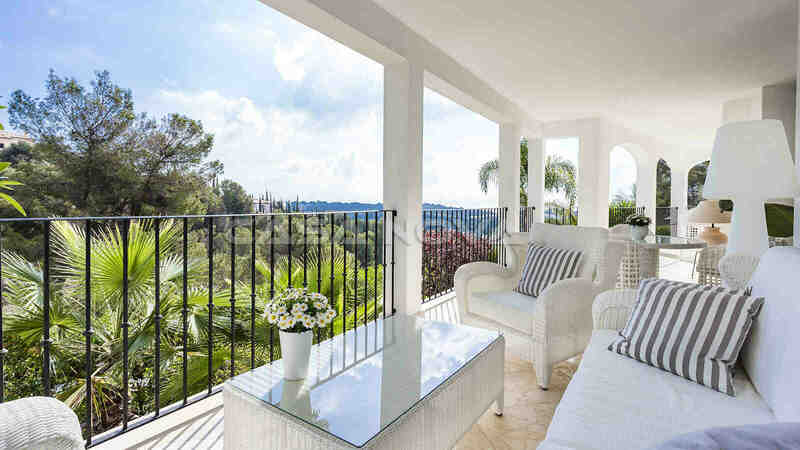 Mallorca properties are a valuable investment in your future. Portals Nous is only 5 minutes away from the luxury marina of Puerto Portals. With its designer boutiques, exquisite restaurants and cafés, the harbour with its international flair invites you to stroll and linger. The southwest of the island offers a very good infrastructure, thus the life is possible all year round on the island. 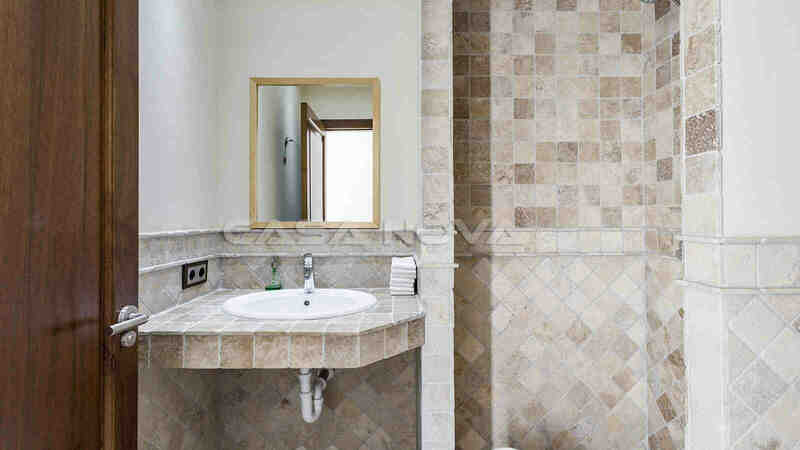 In Portals Nous you have all shopping facilities for your daily needs. A well-known international private school is also located here. It is only a few minutes by car to Palma de Mallorca. Friends of golf can improve their handicap in the neighbouring Golf de Bendinat. The international airport is about 20-25 minutes away by car. Do you have any questions about this offer? 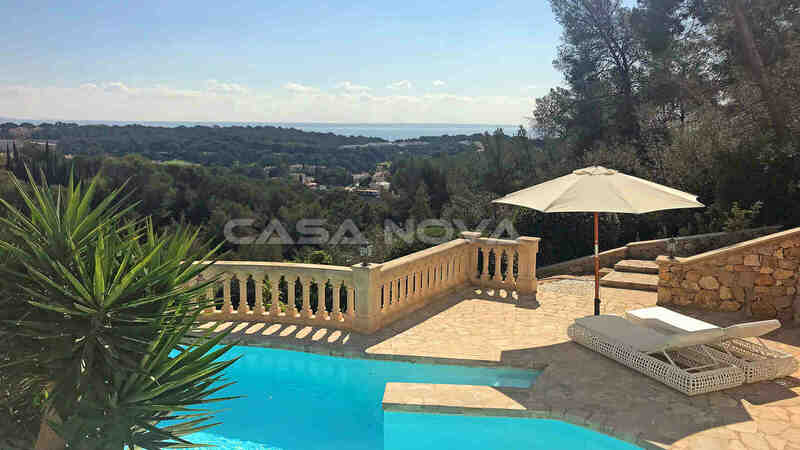 Then please contact Casa Nova Properties, your trusted Mallorca real estate agent in the southwest of the island. There are no brokerage fees for the buyer.